Kendra helps soul-centered women & evolutionary leaders create spiritual and financial freedom so they have a greater impact & make more money….all while being true to who they are! She is passionate about making it easy for those called to serve the awakening on the planet to effectively help more people while doubling, tripling or quadrupling their income. Kendra E Thornbury, MA, is an international highly acclaimed coach, spiritual guide, speaker, facilitator, humanitarian and entrepreneur. She’s on the cutting edge of spiritual thought and conscious business practice, blazing a new trail & wealth revolution. Labels aside, she considers herself a human being simply doing her best to walk a path of authenticity and integrity while making a much-needed difference. This is a 4 week course that will get beneath the surface and illuminate limited beliefs & patterns in a way that is surprisingly easy. 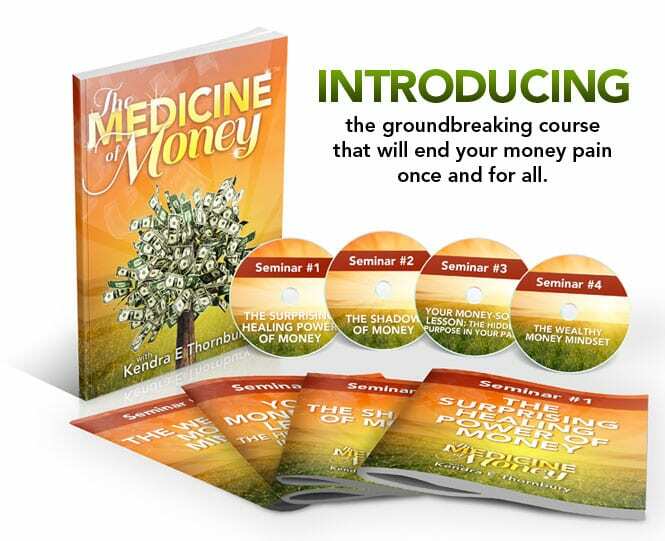 You will transform your relationship with money, and move forward with a new understanding of the power you have with it so you can become a magnet to money and fulfill your world-changing ideals. Changing the World Summit is a project of Magical Marketing Company. Contact Us HERE.